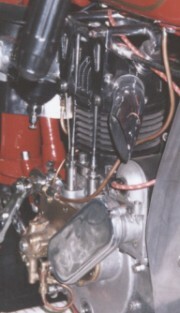 The "Red" Indian that housed the Indian works 350cc OHV motor. 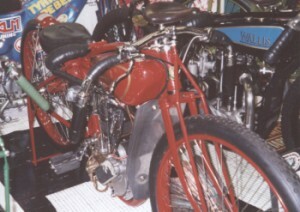 This particular machine was owned and ridden by Spencer Stratton. Art Pechar was another famed rider who used an Indian, breaking the mile record at Stamford Bridge, clocking 42.86 mph.